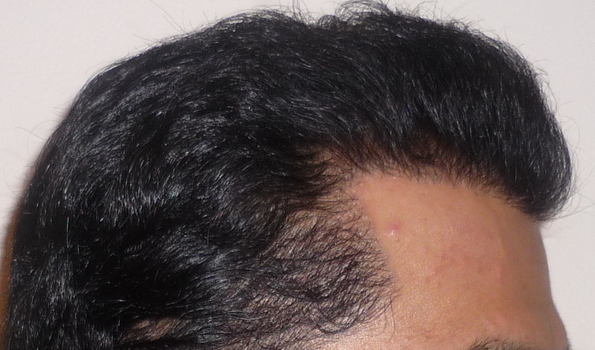 What what you do if you used up 5,000 grafts into your hairline and needed a repair because only 10% grew? My donor hair is very limited (for obvious reasons). I was told I can get more than 10,000 grafts easily, but apparently that’s not the case. I have at best another 2,000 grafts available (its only my guess) because my donor area is already taxed. My hair continues to thin in the crown and vertex areas. Would you use upto another 1,000 grafts in the hairline to fix it and pray meds will maintain the rest of the head until HM or a miracle drug comes out? Would you leave it alone and just use meds and minox for as long as possible? What helps is that since my transplant I dye my hair every few weeks. I leave the dye intentionally on my scalp and get in there so that at the end my hairs and empty bald spots look black (sort of like a concealer). I notice however that the frequency of dying has destroyed my hair texture. So if I continue to do this my hairs will look like crap, and on the other hand if I stop then my bald areas will be extremely visible. I can’t do jack shyt with my hair and I take st john’s wort (herbal anti-depressant) because it literally fukcs me up in the head. My self-confidense has hit rock bottom. My 17 yr cousine asked me if I had a hair transplant!!! I said why the heck would you think that? She said because I have so many bumps in my head. She’s referring to the bumps from fue in my temples and in my hairline. First, without pictures its impossible to know how to advise you. Not that I’m even able to advise you since I’ve never had a transplant in my life. Send him an email with pics and let him know on this board that you have sent him an email so he’ll check it. We are all going through this self-confidence nose dive so don’t stress it. This disease has f&&&ed up so much in my life its not even funny. In my opinion using St John’s Wort is much better than using SSRI’s. You can also manipulate your serotonin levels through diet and lifestyle change which will make you feel better. Low serotonin equals pessimism, while high serotonin equals optimism. Most of the SSRI use today is completely unnecessary, a very slippery slope and completely destroys many lives. It’s amazing what people will believe with a little marketing. Keep trying to raise your serotonin levels naturally. Like Freddie wrote, it’s really hard to make any suggestions without seeing pictures. You should try posting pictures to this thread. If you can get comments from several of the members you might be able to develop a plan. Once you have a plan, there will be light at the end of the tunnel and you will immediately start to feel better. 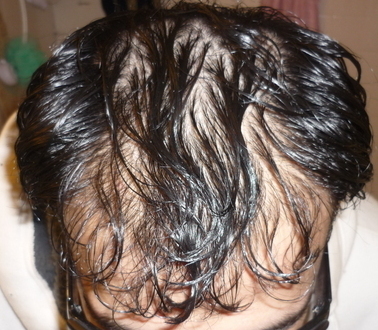 Don’t blame yourself, 5000 grafts for just a hairline is completely reckless by any clinic. » raise your serotonin levels naturally. » comments from several of the members you might be able to develop a plan. » will immediately start to feel better. » reckless by any clinic. Believe me I took plenty of photos. 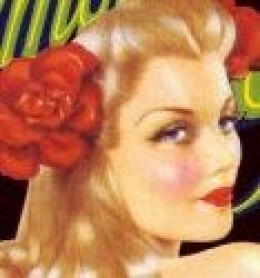 I will work on cropping my face out this weekend and post some. how long have you been on St John’s wort? does it help? We are very much in this case, but many are afraid to talk because they are ashamed but you have to talk to save young people who believe that hair transplantation is the solution, when in fact it is the outright destruction of your life! sorry for my English or American but I am French, I hope you understand what I wrote. Good luck and especially good luck! With all the information available today, patients have to assume some of the responsibility. Although I do understand that the majority of the population has been conditioned to believe the motto, always consult a doctor. This is pure marketing and is genius if you ask me. Everyone is afraid to make a move without consulting a doctor. Fear is the greatest motivator and the doctor’s word has become gospel. I must say I am amazed when I hear anyone tell me well this is what the doctor said, and they think nothing of questioning it. You can feel their fear. We continually see patients come on to these forums that know very little about the industry but they are ready for a procedure. As long as they don’t have to be too inconvenienced with traveling too far, healing times, understanding available donor, density and basic math along with a host of other issues. How many Eddie Munster hairlines does one have to see before they come to the realization that outside of the fact that it looks bizarre on a 40 year old man, that it not practical and a very bad idea. It’s been posted on these forums for years, yet many still don’t want to listen. Frenchht, I agree many are ashamed and embarrassed. What’s even worse is many can’t even pick up the phone or meet people in person before they schedule a procedure, because of that same embarrassment. They limit their own ability to learn more because of this embarrassment and the cycle just keeps rolling along. Mj without even looking at your pictures I would say you should only consider fue at this point. If you want more density behind the hairline at another time and you don’t mind strip then go for it. With fue the doctor has the ability to cherry pick the hairs and place thinner caliber hairs in the hairline, which gives it a natural appearance. The problem with strip outside the scar is that the hairs come from that so called sweet spot, which might be great for density but in my opinion the thicker caliber hair regardless if they are singles quickly catches the eye of another because it seems out of place. The fact that your 17 year old cousin asked you if you had a ht is very telling. Most people this age are not familiar with the procedure. But something seemed out of place and caught her eye. Upon further investigation she noticed the bumpiness and then she started to wonder what was going on. Something most prospective ht patients don’t quite understand. That it’s 10 times more uncomfortable to have someone stare at your head because they notice a hair transplant, then to be called out for a thinning hairline. I can’t stress enough how important it is to start speaking to patients in person and on the phone. You will be able to get a clearer picture and learn much more. Rarely do you see negative posts about many of the clinics unless it’s a disgruntled patient and they rarely stick around. But what you will see is a lot of cheerleading by posters who either have never been in the chair or ever had any work done by the doctor or clinic they are cheerleading for. Those cheerleaders are part of the problem. This is where prospective patients fall into the trap of believing that someone is very ethical and skilled. Social proof convinces them. Don’t keep making the same mistake, you will quickly run out of options for a remedy. If you didn’t know what you know now, chances are you would have picked the same clinic that did your strip work for fue and you would have been convinced by what you read on the forums. yikes, i hate to say this but hey, I TOLD YOU SO ! PPD is a skin sensitizer, meaning that it can stimulate the immune system to cause a variety of allergic reactions. The skin may become red, blister, itch and burn on exposure of PPD. Allergic reactions may also cause breathing difficulties and can even be fatal. Laboratory experiments have shown that PPD damages the DNA of human cells. Accumulated DNA damage leads to cancer. However, it is not conclusive whether the exposure to PPD from hair dyes is enough to cause cancer in women who dye their hair, although hair stylists who color hair at work do have higher cancer levels (see below). Breathing in PPD fumes can cause the airways to narrow, making breathing difficult. This can be a transient reaction, or can cause long-term asthma. Severe lung problems and deaths have been reported after accidental ingestion of PPD. Hair dyes should always be kept out children’s reach to prevent accidents. Resorcinol receives a rating of 8 (out of 10) for hazard at the Cosmetics Safety Database. It is classified by the European Union as harmful, irritant to eyes and skin and dangerous for the environment. It has been shown to disrupt hormonal function in rats, causing hypothyroidism (thyroid hormone deficiency), but the levels necessary were far higher than those in hair dyes (Welsch, 2008). However, autism may be caused by babies experiencing hypothyroidism while still in the womb (Roman, 2007), and there have been cases of pregnant women losing their babies after taking resorcinol by mouth (Duran et al, 2004). Resorcinol is also a skin sensitiser (Basketter et al, 2007), although it is much less potent than PPD. Ammonia is irritant to the skin, eyes and respiratory system, and can cause asthma and breathing difficulties. However, it is much less toxic than PPD, and only receives a rating of 3 out of 10 for toxicity at the Cosmetics Safety Database. Sodium, potassium and ammonium sulfates are present in hair dyes and bleaches, and are used in concentrations of up to 60%. However, concentrations of only 17.5% have been shown to irritate skin, and persulfates are also toxic when the fumes are inhaled, causing asthma and lung damage (Pang and Fiume, 2001). However, the Cosmetic Ingredient Review Expert Panel has concluded that they are safe for occasional use, provided that the skin is rinsed well after. Hydrogen peroxide is used in hair bleaches. It is corrosive, and has been banned from cosmetic use in Japan and restricted in Canada. Animal studies have shown it has toxic effects on the nervous system, respiratory and digestive systems at low doses (1974). Other studies on animals have also shown that hydrogen peroxide can damage DNA, possibly leading to cancer. This is present in some hair coloring products used for gradual darkening, and is another potentially toxic chemical.Lead has well-known damaging effects on the brain and nervous system. This has been linked to development of cancer. » yikes, i hate to say this but hey, I TOLD YOU SO ! » breathing difficulties and can even be fatal. » Laboratory experiments have shown that PPD damages the DNA of human cells. » have higher cancer levels (see below). » irritant to eyes and skin and dangerous for the environment. » that the skin is rinsed well after. » shown that hydrogen peroxide can damage DNA, possibly leading to cancer. » effects on the brain and nervous system. » This has been linked to development of cancer. if i were you i would stop all these junks immediately, it’s like the more you try to fix the problem the more damage you cause, stick with good old minoxidil and propecia, let your hair/body recover from the toxins and then decide what to do next. » this weekend and post some. » » yikes, i hate to say this but hey, I TOLD YOU SO ! » » breathing difficulties and can even be fatal. » » have higher cancer levels (see below). » » irritant to eyes and skin and dangerous for the environment. » » potent than PPD. » » that the skin is rinsed well after. » » shown that hydrogen peroxide can damage DNA, possibly leading to cancer. » » effects on the brain and nervous system. » » This has been linked to development of cancer. » decide what to do next. It was either st john’s wort or the crappy Zoloft prescribed by my doc. That was a no brainer and there are virtually zero side effects associated with st. john’s wort and it works great. I tried going without it but waking up in the morning and looking in the mirror makes me wana get back in bed and not come out - which i did for a long time. It’s easy said than done to say leave all those drugs alone. Desperate times call for desperate measures. I’ve been on St John’s Wort for about 5 months now and the only side effect I have from it is I’m more optimistic and more active than I was before, but still far from normal. As far as hair dye goes, I used to use it maybe twice a yr but since the failed growth of my hair I use it more frequently. It is the only way I can actually go out without looking deformed and making it too noticable. As many of you know, I ordered, have, and tried Dermatch and it works great, I love it. Basically it works the same manner as hair dye can, color the scalp! Dermmatch is not easy to apply and can sometimes color your shirt, pillow case, or even drip. I let my hair grow long and started tying it in a pony tail. Recently I had no choice but to cut it off because in my line of work it’s not welcomed, it’s not professional. At least with long hair I can cover my balding areas right behind the hair line by tying it all back. But now it looks insane and SUPER hard to style and hide. I’ve been on fin and minox for about 4-7 months(?) now and halted the dutasteride but it’s still the samething. To provide a better understanding it is perhaps best to post some pictures, I’ll get ot it right away. I can’t believe I was stupd enough to believe armani when he said I have way over 10,000 grafts available. I can’t believe I was stupid enough to believe that he was working behind the scenes on hair multiplication and that it was right around the corner, meaning shortage of grafts is a thing of yesterday and that I can go ahead and stuff my hairline. I can’t belive I was that stupid to trust him. I now have a smiley face scar going from ear to ear, fat and thick and ugly behind my head, and rigids and bumps on my hair line and temples with barely any hairs growing in the areas to cover them, and short by 5,000 grafts with absolutely NOTHING to show for them. It’s amazing how we see and hear horror stories and never think it can happen to us. Yeh I know you did but so have many others and I fukced up. I trusted the wrong people, the wrng clinic, the wrong rep, the wrong “testimonials”. And believe me dude, I welcome cancer at this point of my life. I really don’t give a shyt, the sooner it ends the better. Haaa we all die anyway, it’s better to go early than to live a fukced and deformed life. So if hair dye is going to cover my deformed hair transplant momentarily but give me cancer, than so be it! Who gives a shyt! » It was either st john’s wort or the crappy Zoloft prescribed by my doc. » in bed and not come out - which i did for a long time. Boy does this sound familiar. When I was losing my hair and was unaware of the treatment options (i thought there were none), I could not look myself in a mirror. I felt terribly depressed. There are way too many snake oil pushing thievees and the paraniod spreading misinformation even on legitimate treatments. Take for example the advice you are getting to not use dutasteride. Its a proven fact that dutasteride inhibits more DHT and its effect on MPB is more beneficial than propecia. But yet there are guys running around talking (dreaming more likely) about sheds and all kinds of stuff to mislead the flock. I learnt long ago not to listen to the rabble and instead trust what the graphs and charts tell me. I’m gonna take Armani up on this. If your pictures show a very unsatisfactory result, I’m gonna be on here demanding an explaination from Armani till I get one. Customer satisfaction takes priority over selling procedures and if the result is very unsatisfactory, the clinic has to fix it at their expense, not just grab the money and run. I’ve been on hairsite somewhere between 8 to 10 years and I’ll be around for a long time coming warning people if I don’t get a satisfactory answer. I hope you are reading this Armani and if so, please chime in. It is unlikely that the hair transplants caused your hair to fall out. If it did, it probably would have happened a long time ago already. Instead of blaming the hair transplant, you may want to raise a question to the doctor who put you on Dutasteride. Find out why he thinks it was in your best interest to continue the medication despite the alarming shed. I am sorry that you feel unsatisfied but I am afraid you have left some very important details of your story and you are misleading the readers of this forum crating a negative image of Dr. Armani and Alvi Armani. The facts show that you have had an excellent result from your Alvi Armani hair transplant, but you have affected that result by self medicating and failing to seek medical advice. You had your first procedure with Dr. Armani in November 2003 for about 2500 grafts with the FUSS technique. You had a second procedure with the FUE technique in March of 2009 for 2,500 grafts. 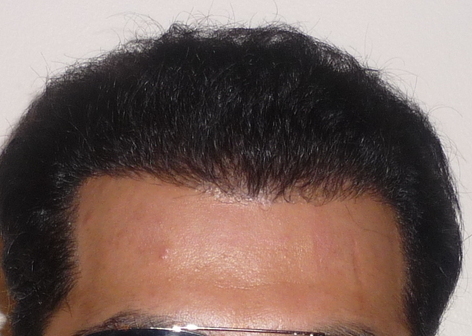 At 5 months post op from your latest FUE procedure you had seen a significant amount of growth from your procedure. Further you went on to post your 5 month photos and told all the Hair Site readers how happy you were with the result. Not only you were getting excellent growth but you still had 6 more months to go for the final results to show. So as you can see from the photos above and by your comments, your transplant was indeed a success with Dr. Armani and was coming in very well at 5 months. You had sent so many emails to Dr. Armani from you stating how happy you were about the results of your procedures with Alvi Armani. Unfortunately around this time you started self medicating with Avodart (Dutasteride)– as you admit in your own posts (both generic and regular versions) - in an attempt to thicken up your crown. You did this without consulting with Dr. Armani. The drug caused you to shed your hairs. You also experimented with the dosages. It is now a well know fact that Dutasteride/Avodart affects the grafts growth of transplanted hairs in particular in zones 1 and 2 of the head. To state you had 5%-10% growth from your procedure with Dr. Armani is an outright lie. Your growth was above the expected standard – as show in your 5 months pictures - until you started self medicating with Dutasteride/Avodart. You recently contact the clinic and sent in the below after photos stating you were unhappy with your result. You took these pictures after you stopped using Dutasteride/Avodart. Even in the below After photos you can see the growth and improvement that you had despite the shed you received from Dutasteride/Avodart. It is sad to see that you have come out with all these lies against Alvi Armani and Dr. Armani, despite the care and goodwill that we have given you, but we have no choice but to discontinue our relationship with you and address your defamation via the legally available routes. It is not the mandate of this forum to deal with issues of this nature. I urge other posters not to comment on this thread. MJ2003 is allowed to post his final reply to this thread if he wants.